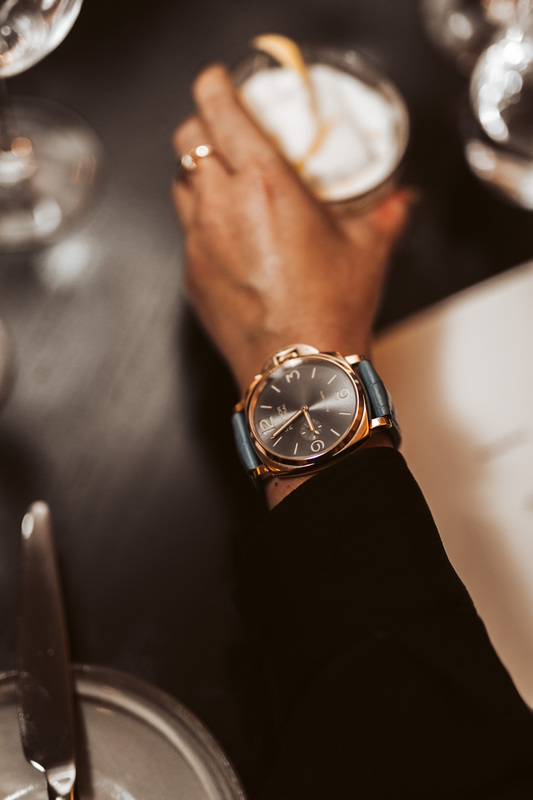 Last week, Panerai lifted the bar for local watch events with a boutique launch that started at its Collins Street CBD location, transferred to the palatial family home of Australia’s most famous chef, Shannon Bennett and concluded with a personal chauffeur home for each guest. The evening’s entertainment, in addition to the display of Panerai’s 2018 novelties, as well as modern classics like the Luminor Submersible 1950 3 Days Automatic Oro Rosso (PAM 684) above, was provided by pianist David Helfgott, the subject of Oscar-winning movie Shine. 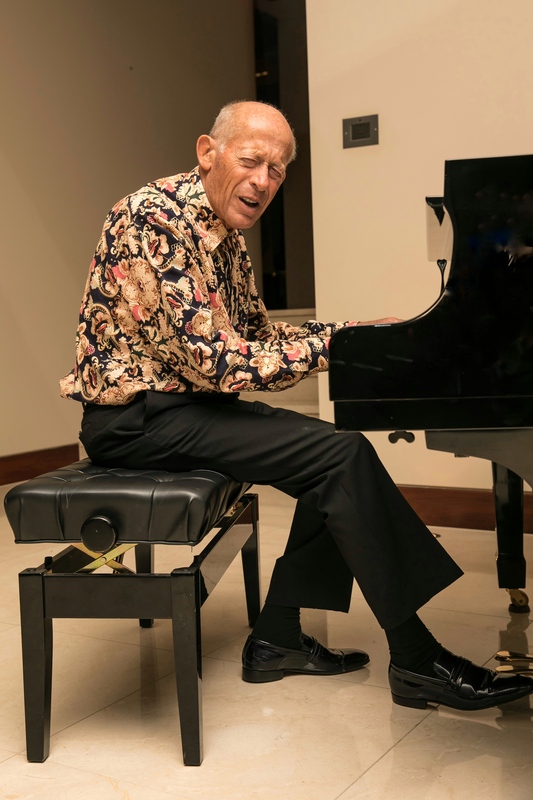 He played a classical set with such abandon that he struggled to stay seated, and after each piece Helfgott would jump up and rush over to guests’ tables to shake their hands. It was the most spectacular, personal and passionate watch brand activation in memory. Even the speeches were exceptional, with local brand manager Ruggero Pirrotta opting – at the insistence of Panerai Asia Pacific Managing Director, Julio Sato, pictured with Shannon Bennett above – to leave his notes in his pocket and speak from the heart. 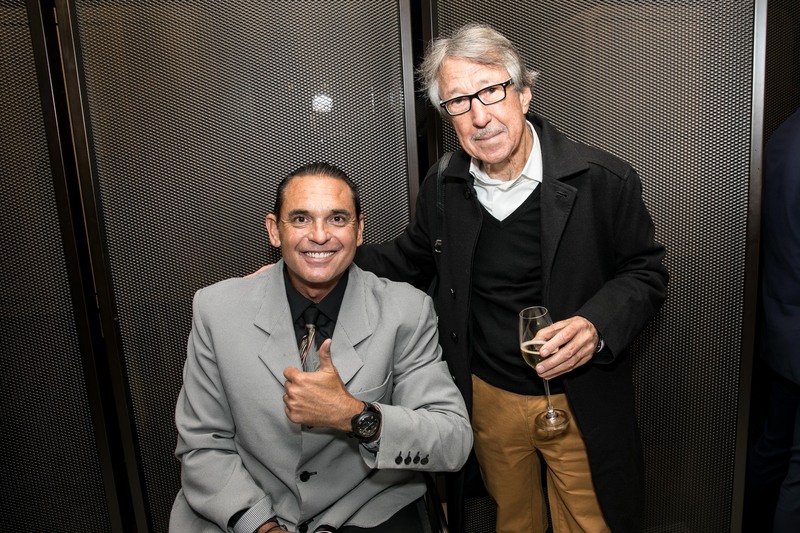 He talked about his excitement and pride in the new boutique at 360 Collins Street, the first ever Panerai boutique in Australia. He singled out Panerai collector and living legend Alan ‘Hammer’ Bloore from the crowd and told us all how honoured we were to be in his presence. 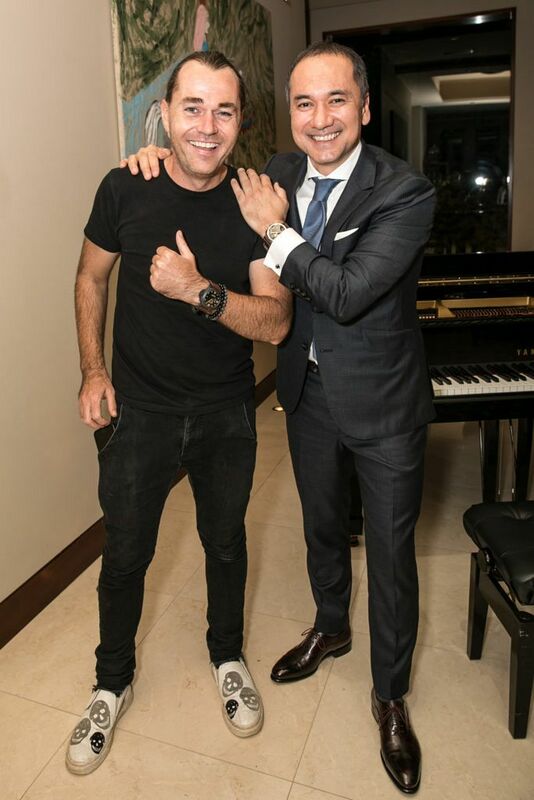 And he thanked Shannon Bennett for letting guests into his personal home, a point which was well punctuated when the family dog ambled past him mid-speech and sprawled out next to the piano. 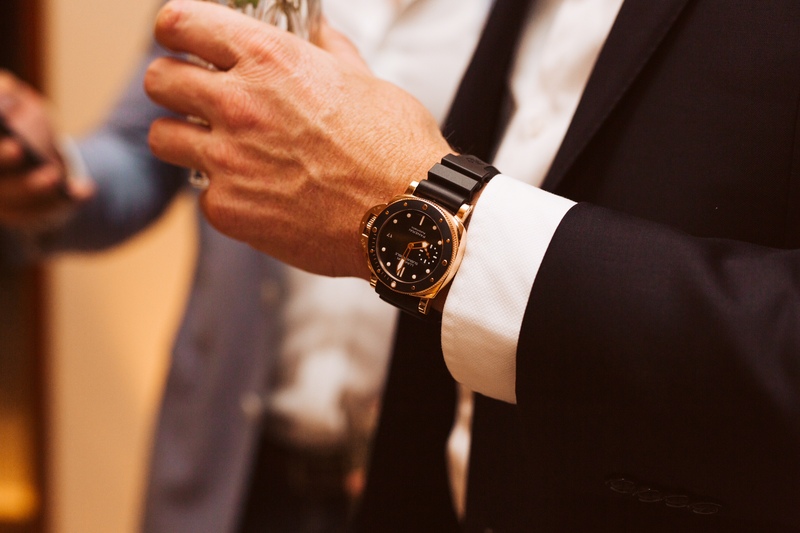 From the heart was very much the tone of the night, congratulations to Panerai Australia for their new base in Time+Tide’s home city and for an event to remember.